A beautifully simple bowl featuring handcrafted accents of beading along the handle and top of the bowl. 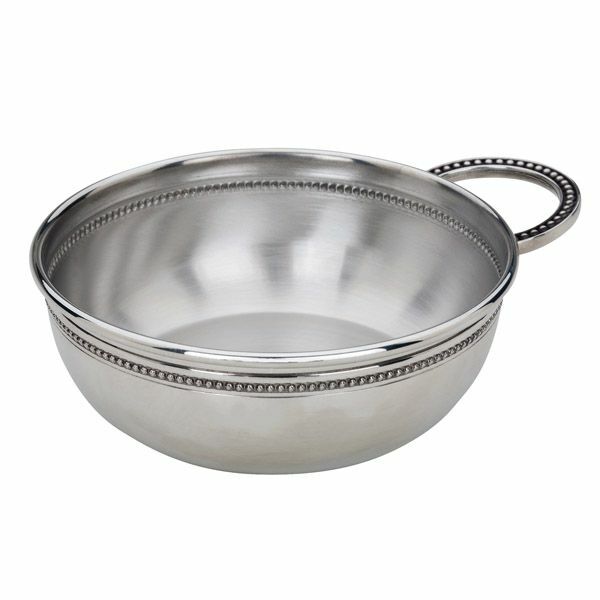 Crafted especially for a small child, this Reed and Barton Baby Beads Pewter Porringer is great for morning cereal or a tot-sized lunch! Bowl measures 4 1/8" diameter. This bowl will never tarnish. Gift box included. Matching pewter baby flatware is also available. * We offer personalization! Add the item to your cart for engraving options.